Blood spatter iii. 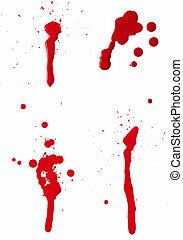 A composite of 4 wet red paint (blood) stains isolated on white. 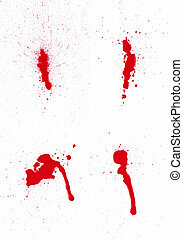 A composite of 4 wet red paint (blood) stains isolated on white. 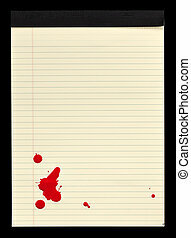 A sheet of lined yellow notepad paper with red blood stains (paint) on it. 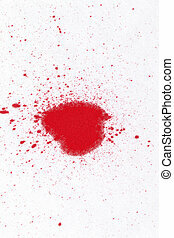 A blood stain and spatter on white cotton fabric. 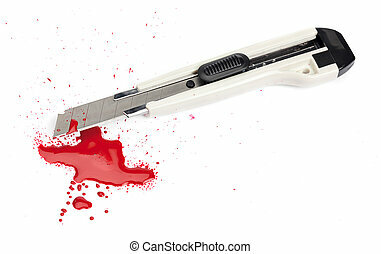 A blood covered boxcutter and spatter of blood isolated on a white background. 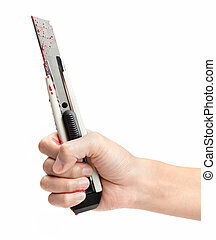 A hand holding a blood covered boxcutter isolated on a white background. 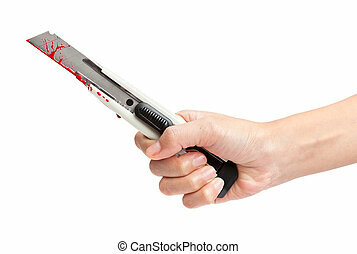 A hand squirting red paint out of a syringe isolated on white. 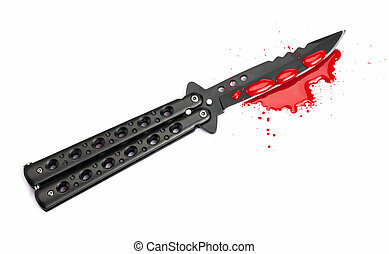 A blood covered butterfly knife and pool of blood isolated on a white background. 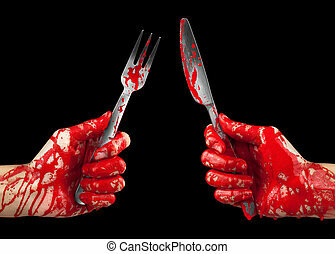 A bloody pair of hands holding a knife and fork isolated on black. 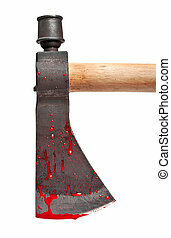 A close-up of a bloody axe blade isolated on white. 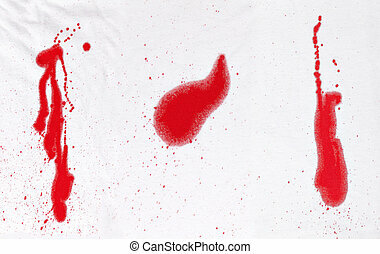 Composite of 3 red/blood stains and spatter on white cotton fabric. 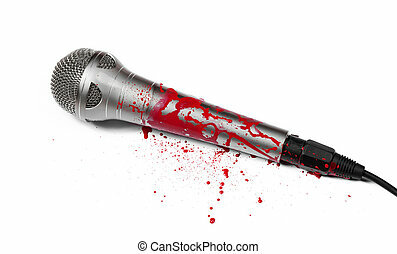 A blood covered microphone isolated on white. 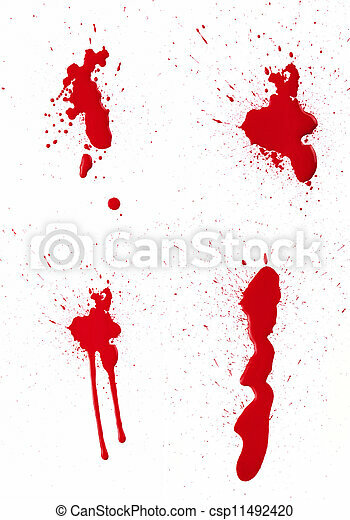 A bloody syringe dripping out blood isolated on white.